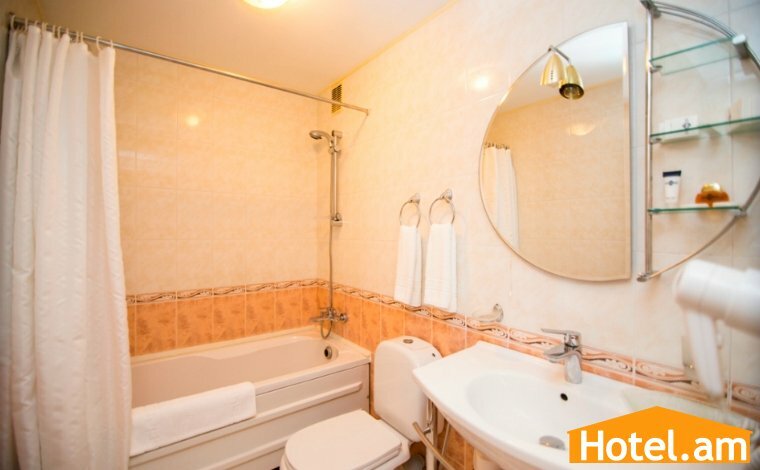 We have been cultivating the tradition of high quality service for decades. 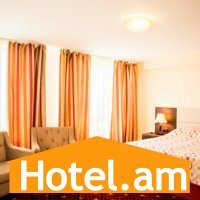 Thousands of guests have gained an unforgettable impression of Yerevan City looking out of the windows of Ani Plaza Hotel. 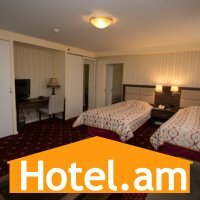 Here one can admire the biblical Ararat - the symbol of Armenia, and the masterpiece of architecture - the building of the National Academic Opera and Ballet Theater. 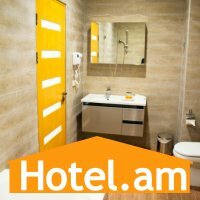 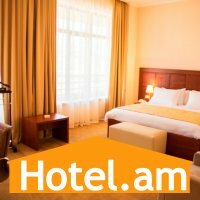 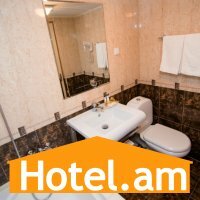 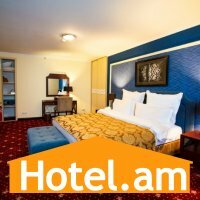 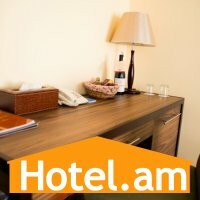 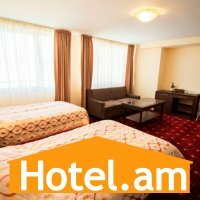 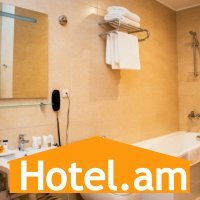 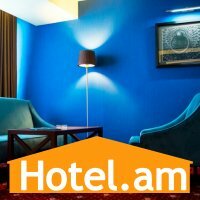 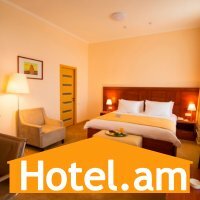 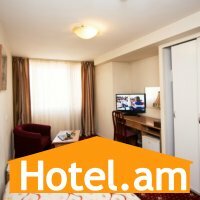 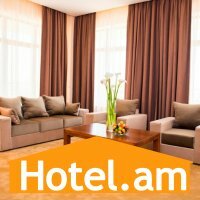 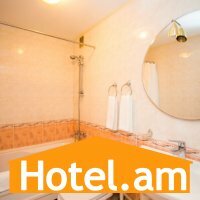 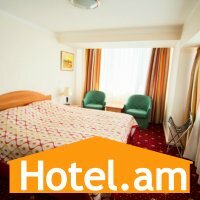 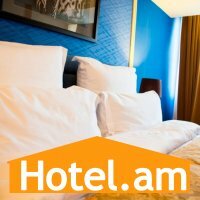 Ani Plaza Hotel is only within 10-15 minutes’ drive from the “Zvartnots” International airport. 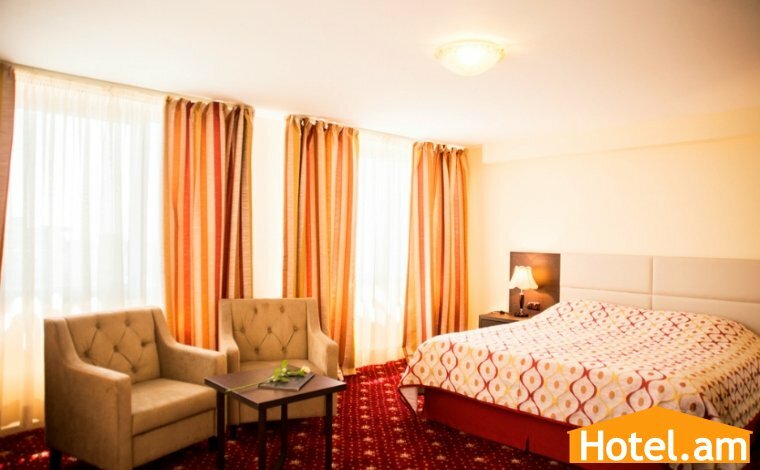 From the hotel one can easily walk to the favorite tourist attractions such as the Liberty or the Republic squares, the Cascade, The Northern Avenue, Matenadaran, the museum of history etc. 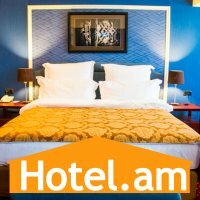 The best cafes, restaurants and boutiques are in the close vicinity. 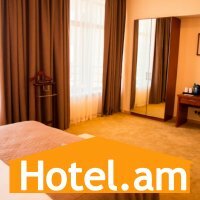 Here you can spend a good time and enjoy shopping. 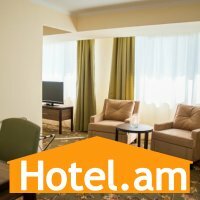 With its 247 rooms Ani Plaza Hotel is the biggest in the country. 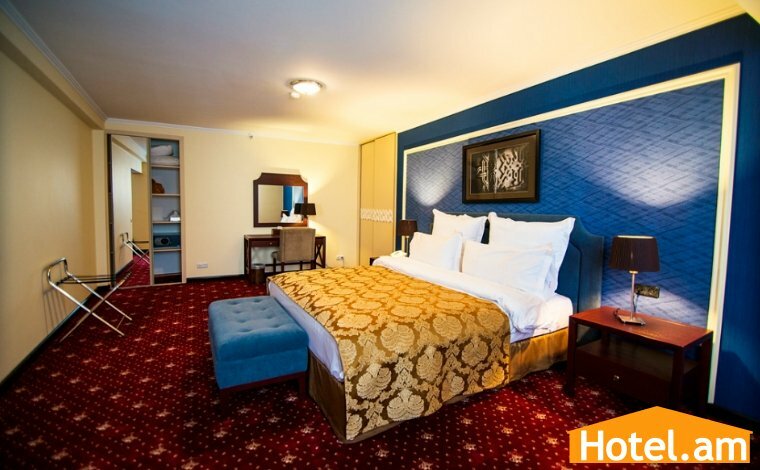 Our spacious rooms will satisfy both the businessmen and tourists, as well as families who value comfort, cosiness and all the necessary facilities. 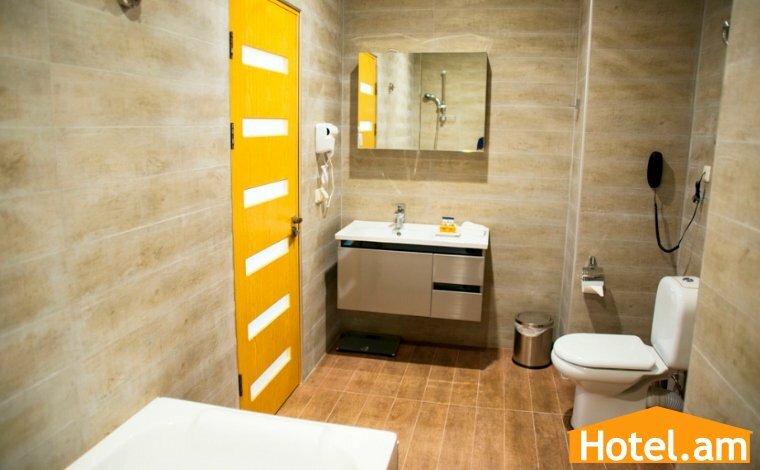 Cozy single rooms are created especially for good rest and are equipped with all the necessary facilities: TV, satellite channels, telephone, mini-bar, air-conditioner, desk and low table, armchair, bath/shower with all the amenities. 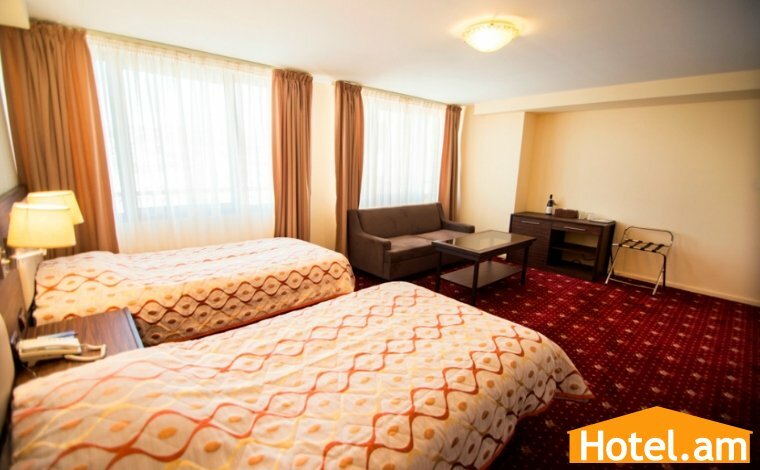 Comfortable double rooms ovelooking the city or the quiet backyard provide guests with the following facilities: TV, satellite channels, telephone, mini-bar, air-conditioner, desk and low table, armchair, bath/shower with all the amenities. 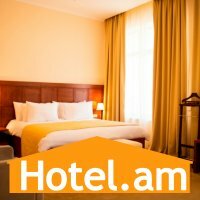 Stylish rooms of this category provide an excellent opportunity for business people both to do business and to relax in comfort. 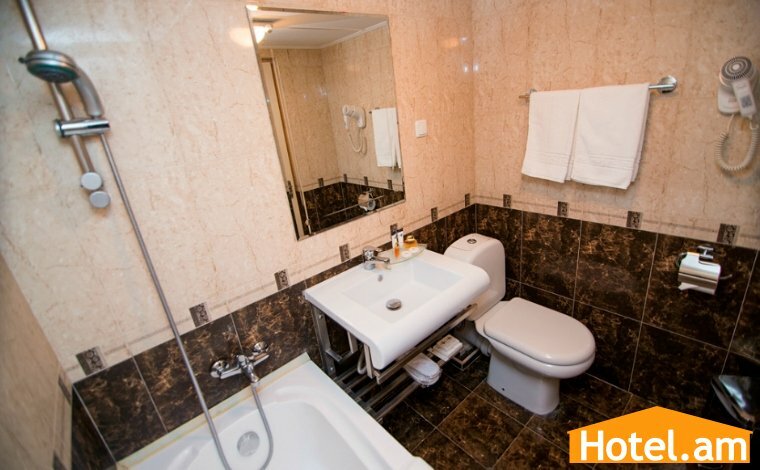 Here are all the necessary facilities: air-conditioner, mini-bar, TV with satellite channels, telephone, safe deposit box, desk and low table, armchairs, bath/shower with all the amenities, iron and ironing board, radio, alarm clock. 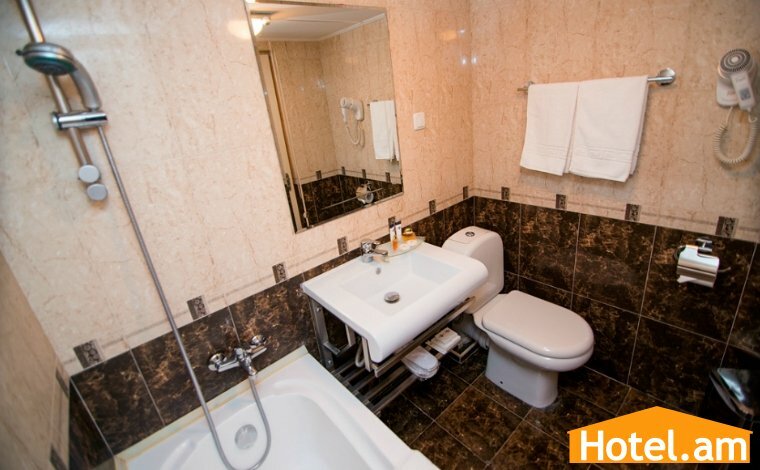 Moreover, the guests of this room have free access to swimming pool, sauna and gym. 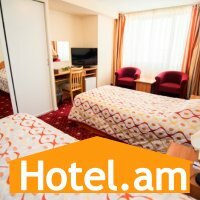 Room facilities: air-conditioner, mini-bar, TV with satellite channels, telephone, safe deposit box, desk and low table, armchairs, bath/shower with all the amenities, iron and ironing board, radio, alarm clock. 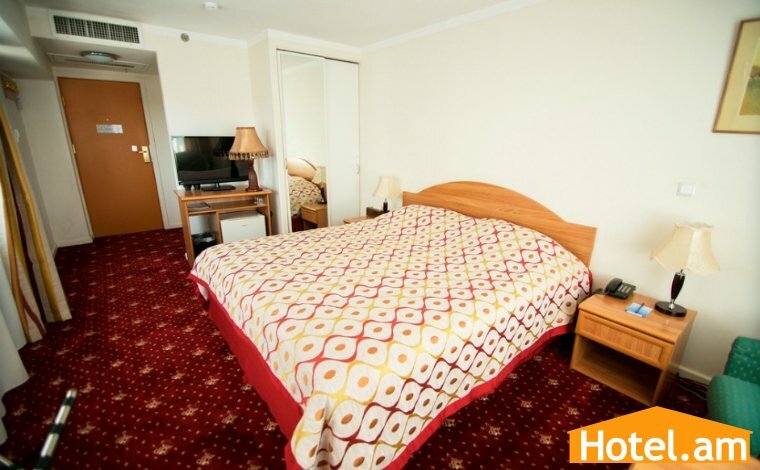 Moreover, the guests of this room have free access to swimming pool, sauna and gym. 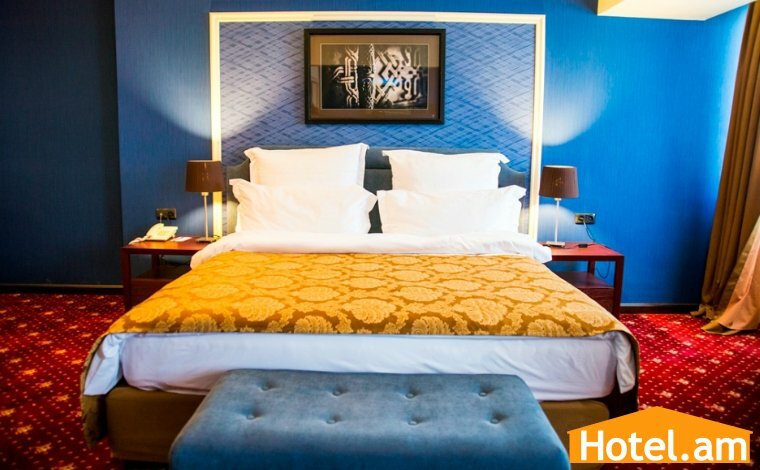 Spacious rooms of De Luxe category with a king-size bed are ideal for honeymoon. 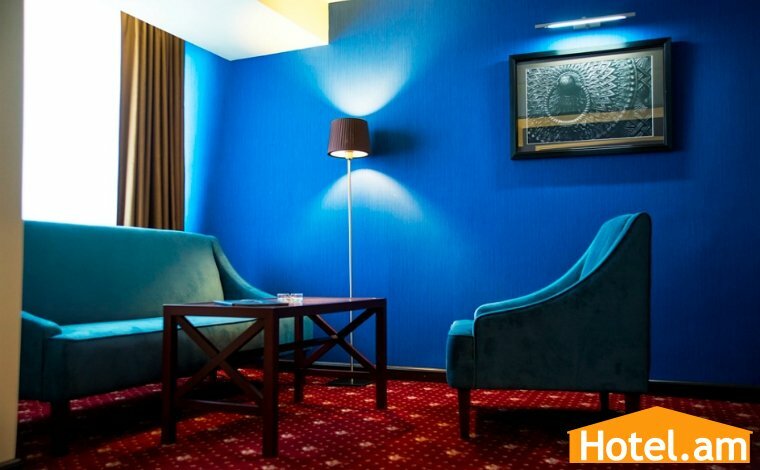 They will delight you with comfort and romantic atmosphere. 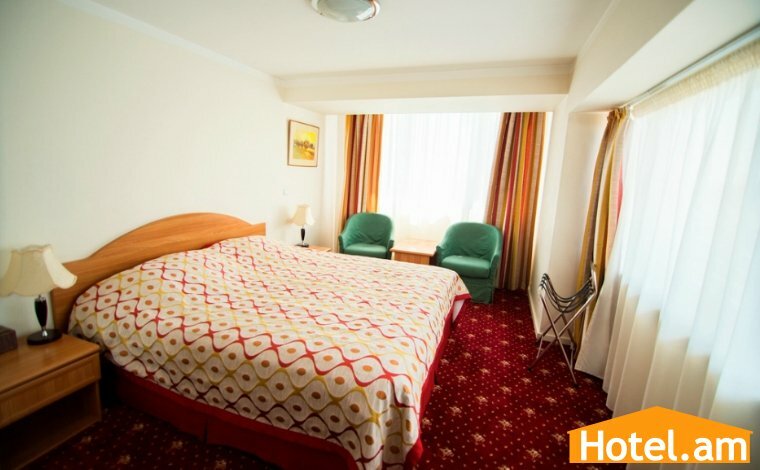 These rooms are equipped with air-conditioner, mini-bar, TV with satellite channels, telephone, safe deposit box, desk and low table, armchairs, bath/shower with all the amenities, iron and ironing board, radio, alarm clock. 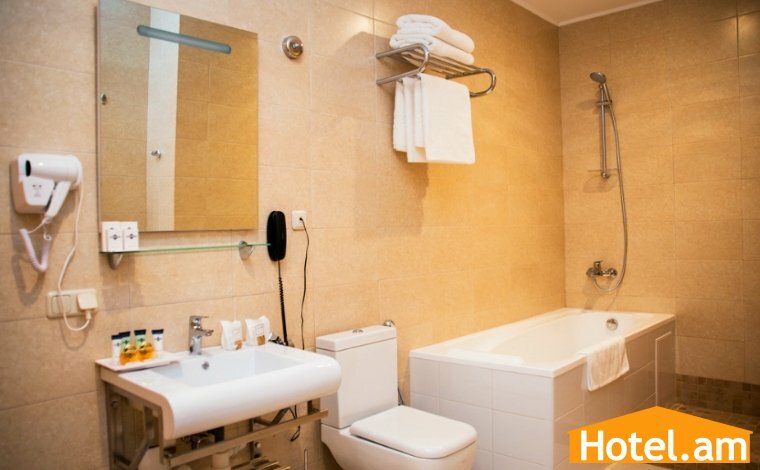 Moreover, the guests of this room have free access to swimming pool, sauna and gym. 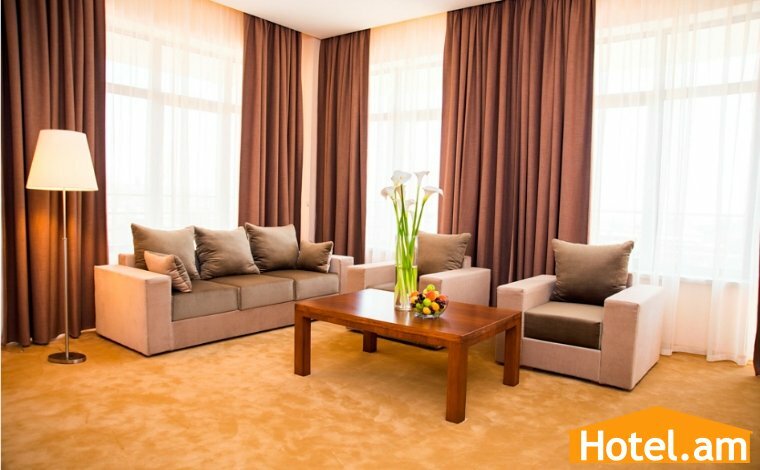 This suite consists of two spacious rooms separated by a door. 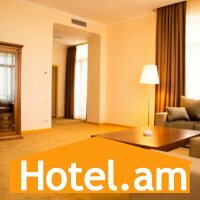 This is especially handy if you travel with children or friends. 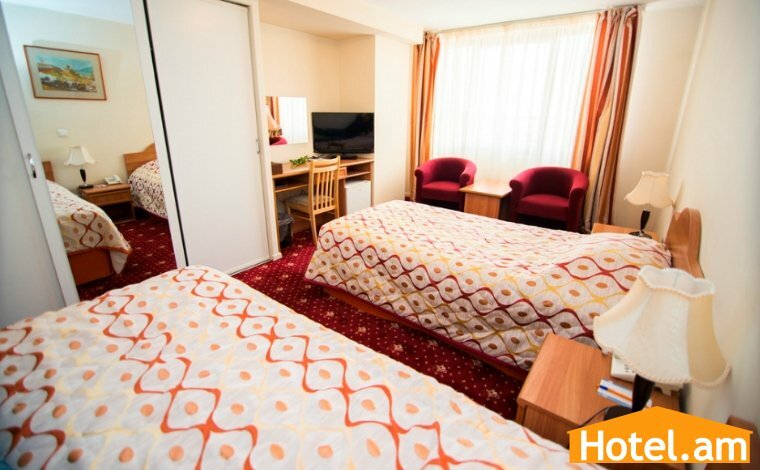 This comfortable room is equipped with air-conditioner, mini-bar, TV with satellite channels, telephone, safe deposit box, desk and low table, armchairs, bath/shower with all the amenities, iron and ironing board, radio, alarm clock. 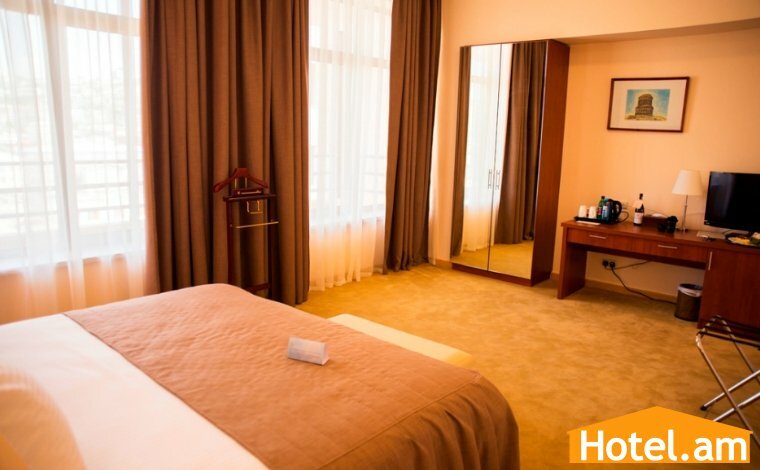 Moreover, the guests of this room have free access to swimming pool, sauna and gym.